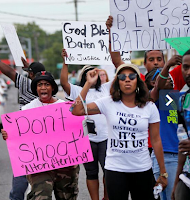 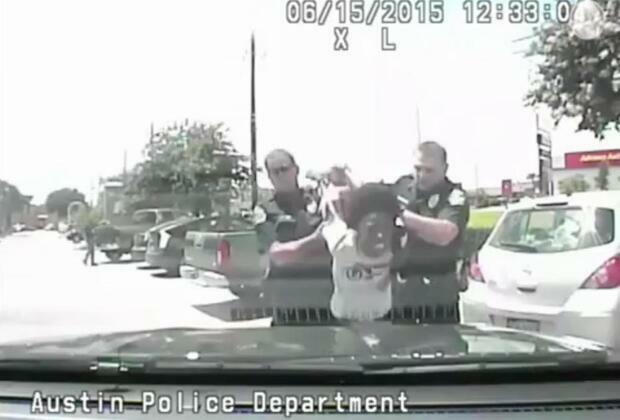 See a roundtable on police killings of black men. 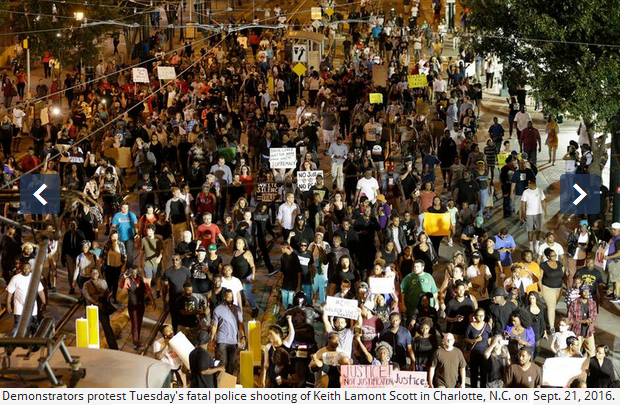 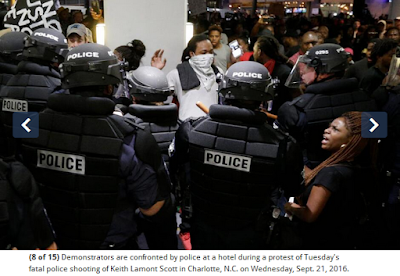 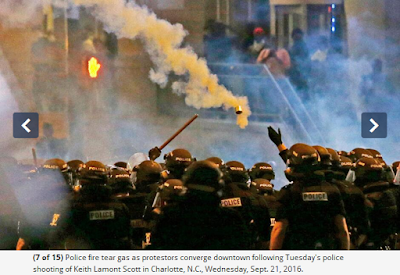 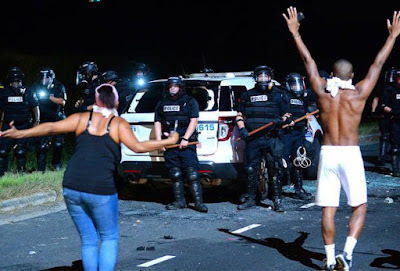 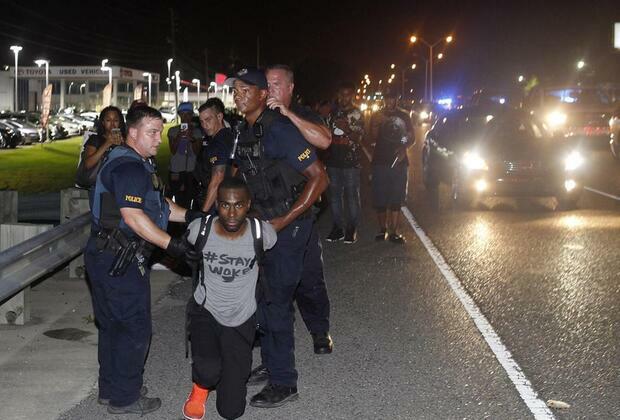 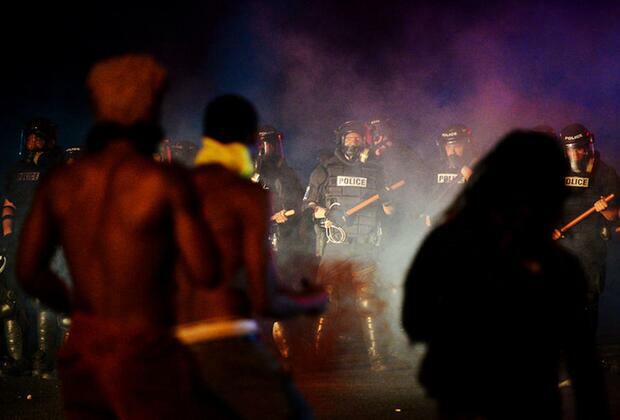 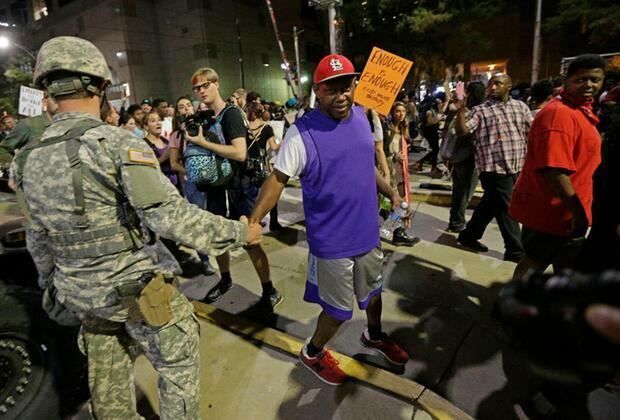 Protests escalated protests in Charlotte, North Carolina, overnight when hundreds took to the street and blocked Interstate 85 to express outrage over the police shooting [murder] of 43-year-old African American Keith Lamont Scott yesterday. 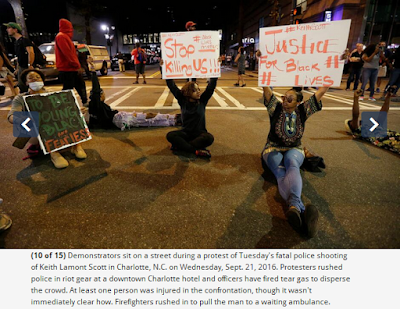 Video footage shows people blocking the highway, where fires were lit. 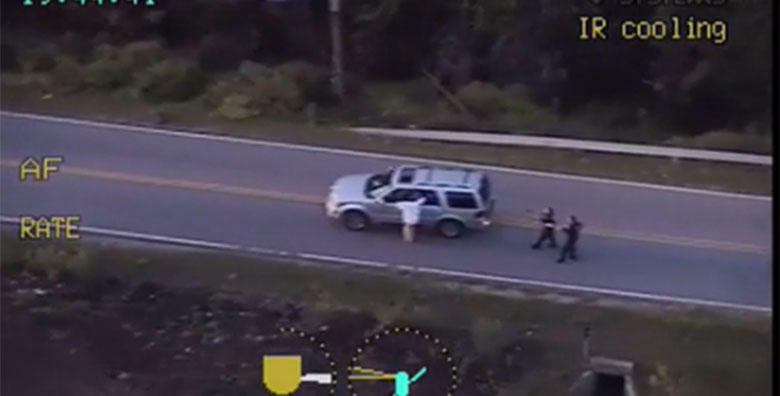 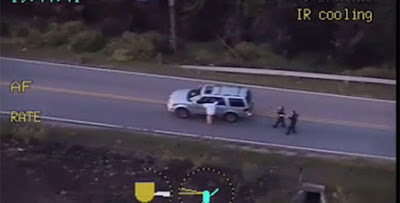 This comes as police in Tulsa, Oklahoma, have released a video -- some of it from a helicopter filming the scene from above -- showing a white police officer (Betty Shelby) shooting 40-year-old African American Terence Crutcher to death while his hands were in the air and other officers were Tazing him. 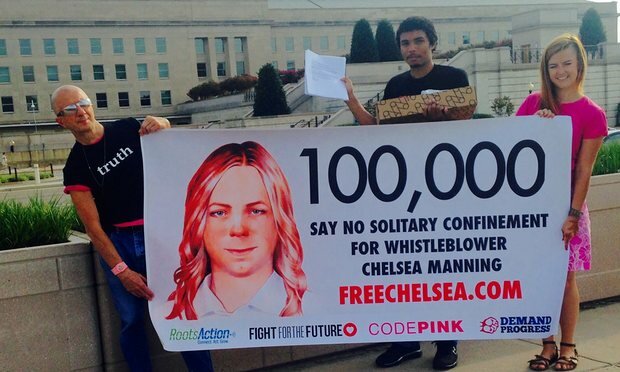 Democracy Now! is joined by Vincent Warren, executive director of the Center for Constitutional Rights; Bree Newsome, artist and activist from Charlotte who scaled the 30-foot flagpole on the South Carolina state Capitol and unhooked the Confederate flag last year; and Rashad Robinson, executive director of Color of Change.